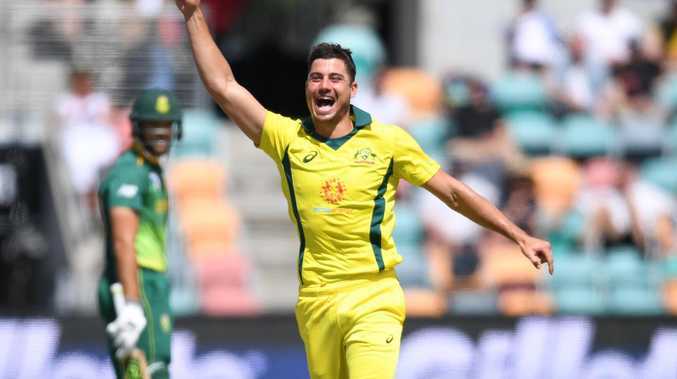 Marcus Stoinis was arguably Australia’s best player this series, topping the wicket charts with eight scalps. 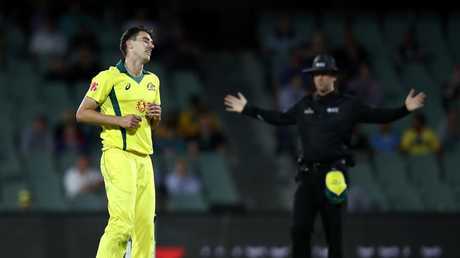 AUSTRALIA has slumped to consecutive bilateral ODI defeats on home soil, losing 2-1 to South Africa on Sunday night. Following the closely fought ODI series, we take a look at how each Australian fared. Finch received plenty of praise for his captaincy in his first series in charge of the ODI team. In fact, he was handed man-of-the-match honours in the second ODI for not only his 41 off 63, but also his field placements and bowling selections that helped successfully defend just 231. Scores of five and 11 in the first and last matches respectively were disappointing though. Head will be hoping his white-ball form doesn't affect future red-ball selections because he had a poor series. The South Australian was often guilty of poor shot selection outside off stump and lost his wicket three times for single-figures. A demotion down the order from opener to No.4 couldn't change his fortunes in the third ODI. 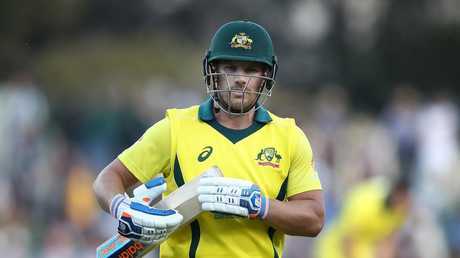 Scores of five and 11 in the first and last matches respectively were disappointing for Aaron Finch. Marsh scored his side's only century all series in the third ODI when he made 106 off 102. The innings came at a crucial moment too, with his side at 2-18 chasing 320. He would be disappointed to lose his wicket almost immediately after reaching the milestone. He missed the first ODI with a buttock abscess, and scored 22 in his first knock back. Lynn failed to replicate his explosive domestic form on the international stage this series, although he did give crowds a taste of it. His 44 in the second match included four-consecutive boundaries off one of the world's best bowlers, Kagiso Rabada. He couldn't temper his batting and was out next ball. A promotion to opener for the third ODI backfired and he was out first ball. Carey performed consistently all series, making scores of 33, 47 and 42 from the middle-order. That saw him finish only behind Marsh in Australia's run chart, although he was guilty of not converting into bigger scores. Almost immaculate with the gloves until a costly dropped catch in the third ODI to Faf du Plessis. 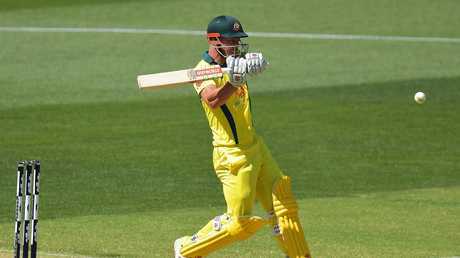 Maxwell was moved behind Stoinis in the order after scores of 11 and 15 in the first two ODIs. He performed better in the final match - he made 35 off 27 - but was fighting a losing battle for the Aussies. Was called on to bowl in the third ODI but failed to take a wicket while going for 5.42 and over. Stoinis was arguably Australia's best player this series, topping the wicket charts with eight scalps. His 3-35 in the second ODI included big wickets in crucial moments that helped seal the win. The Western Australian made 63 off 76 balls in the final match to give Australia a chance of chasing down 320. It wasn't a memorable series for Australia's blue-eyed pace sensation, whose sole wicket came in the second ODI ... but it was Faf du Plessis (47), which is always impressive. In the series opener, in which Australia's bowlers were in the deep end from the get-go, Cummins was at least somewhat economical at three runs per over, and seemed to hit the deck with intent. He also failed to contribute much with the bat down the order. Failed to take a wicket and was hit for 47 runs in a disastrous series opener in which South Africa won by six wickets. Bizarrely was overlooked with the new ball in favour of Nathan Coulter-Nile. He played a role in the second match victory, knocking over Proteas danger man Quinton de Kock and then stopping tailender Kagiso Rabada in his tracks when the game was there to be won. Again claimed de Kock in Hobart and also got the hot Aiden Markram to put the Aussies on top. Unfortunately threw it away with a couple of poor overs at the end of the innings. It wasn’t a memorable series for Australia’s blue-eyed pace sensation, whose sole wicket came in the second ODI. Zampa appeared to be low on confidence this series playing in his first ODIs since last summer. Particularly struggled in the second ODI with many of his deliveries lacking flight and turn. Looked better in the third ODI but still failed to take a wicket. Had no luck in the series opener which was a disaster all-round for the Australians. Took 2-42 in the victorious second outing when he jagged Reeza Hendricks and then Dwaine Pretorius. Was expensive in the third match and could only get the junk-time wicket of centenarian David Miller when the batsman was going the late slog. Not a good series for Australia's premier quick. Top-scored (34) with the bat in the first ODI but was poor with the ball. He took figures of 1-26, conceding more than 8.5 runs an over. He was dropped for the remainder of the series. Short was a late fill-in for an injured Shaun Marsh in the first ODI. He didn't seize the opportunity and was caught in the slips second ball.